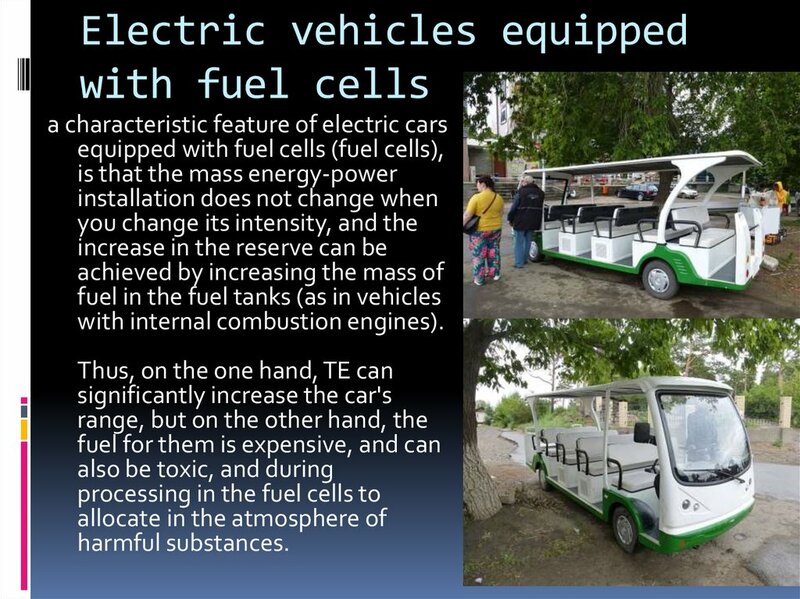 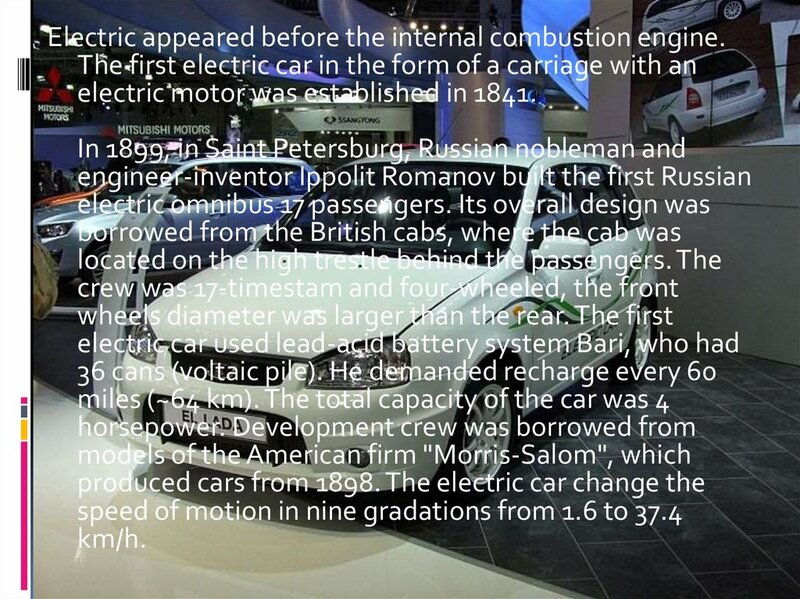 Electric appeared before the internal combustion engine. 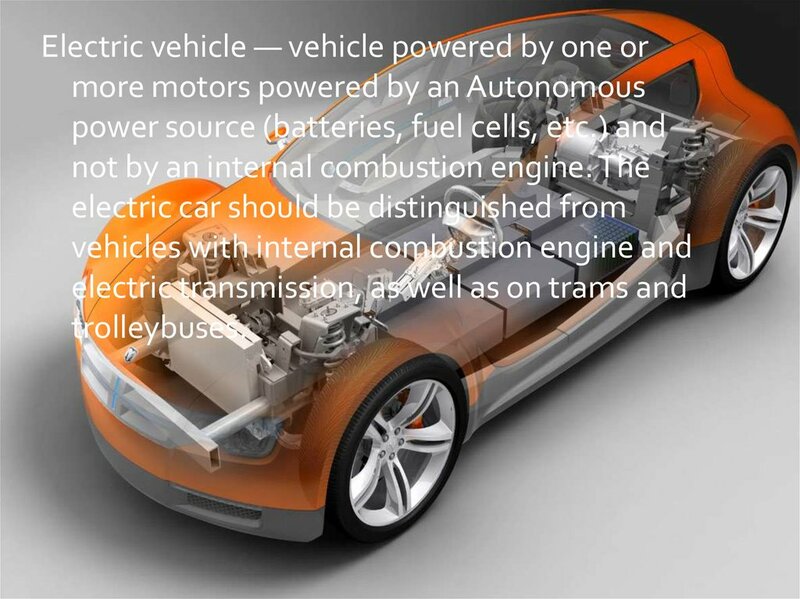 electric motor was established in 1841.
batteries. 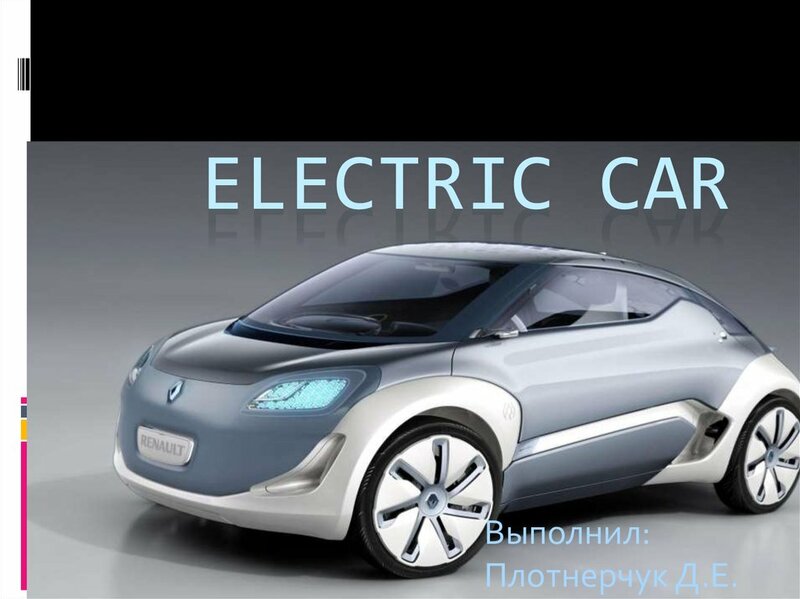 The power reserve reached 320 km. 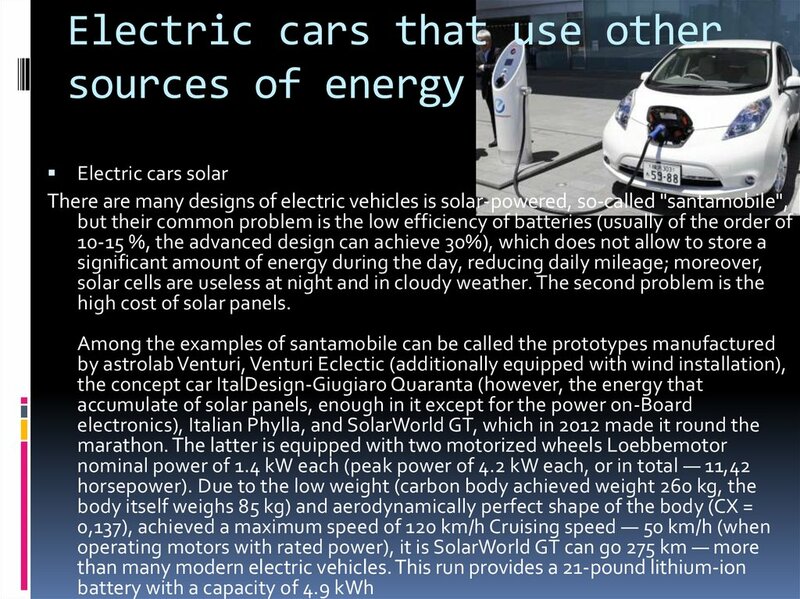 high cost of solar panels. 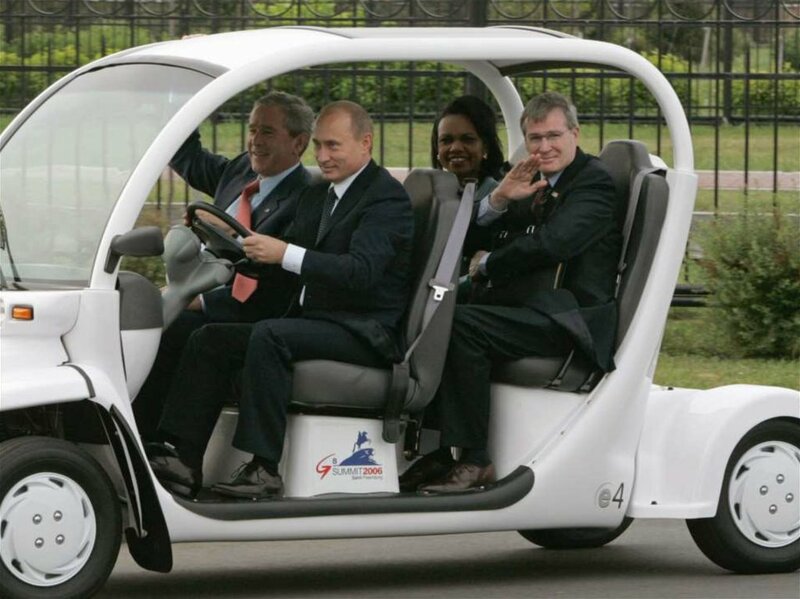 In 2004 the US operated 55852 electric vehicle. 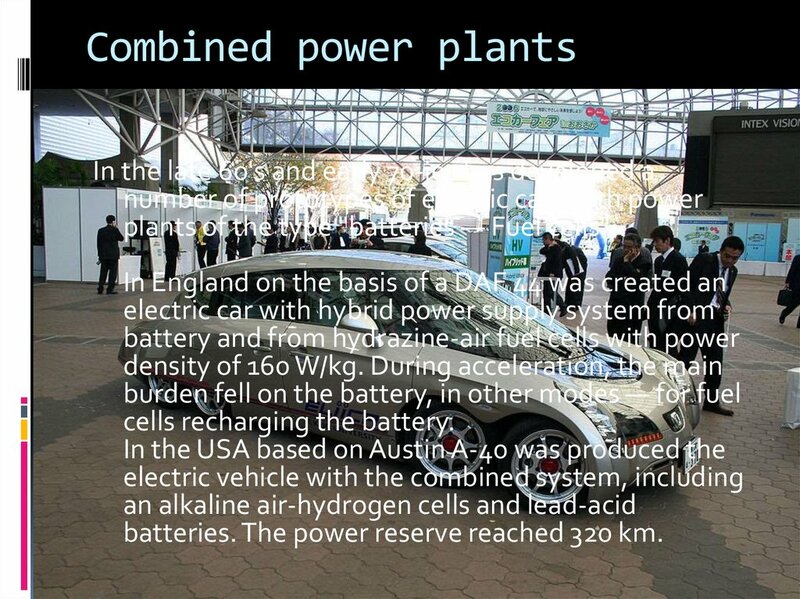 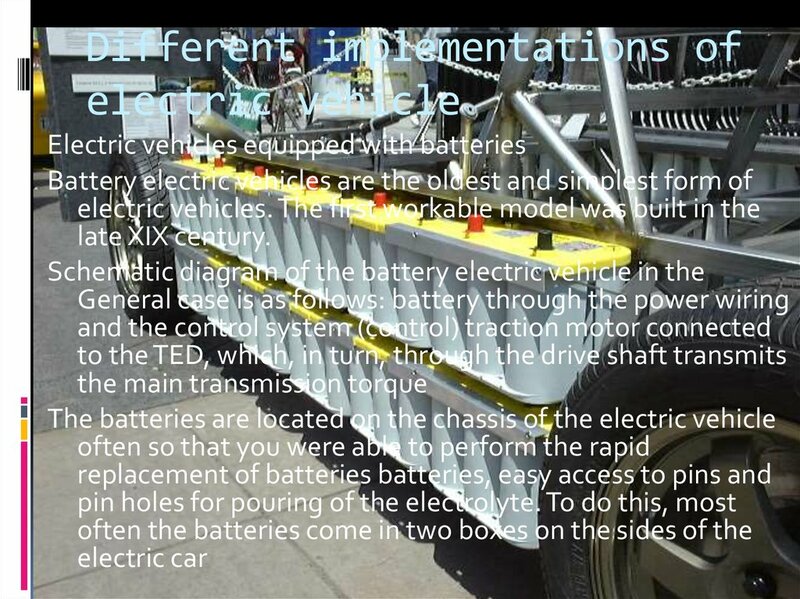 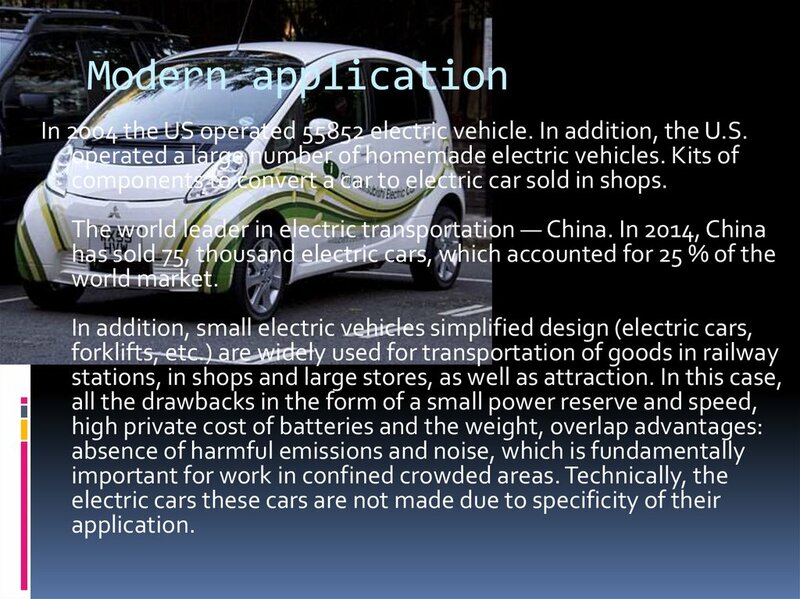 In addition, the U.S.
components to convert a car to electric car sold in shops. 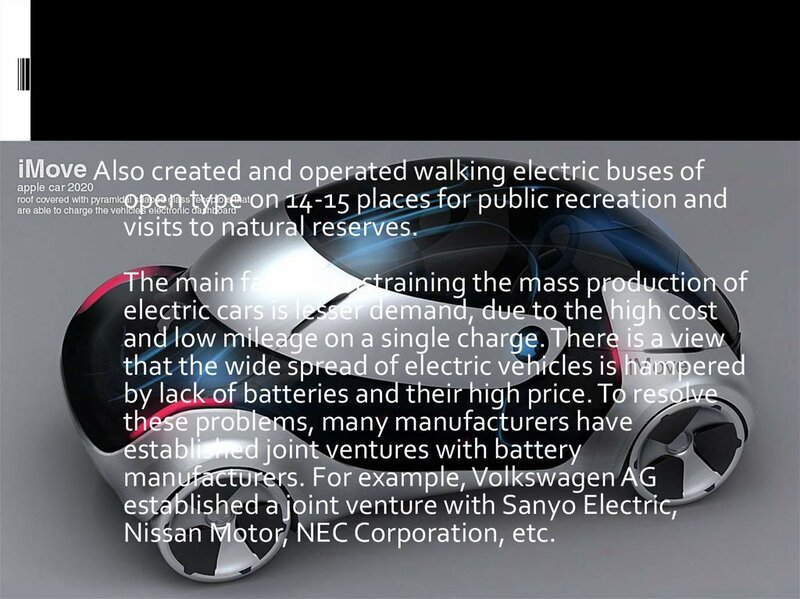 Nissan Motor, NEC Corporation, etc.